Dangggg – will you look at that? 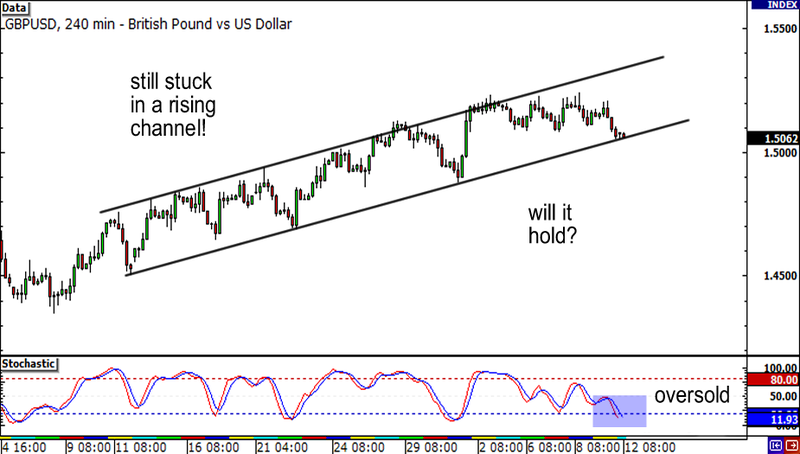 It looks like GBPUSD is STILL stuck in a rising channel. It’s been this way for more than a month now! With stochastics now in oversold territory and with price now at the bottom of the channel, could we see buyers jump back in? Watch out though if we see a candle close below the 1.5000 handle. This would indicate that the channel is broken and that sellers have taken control. 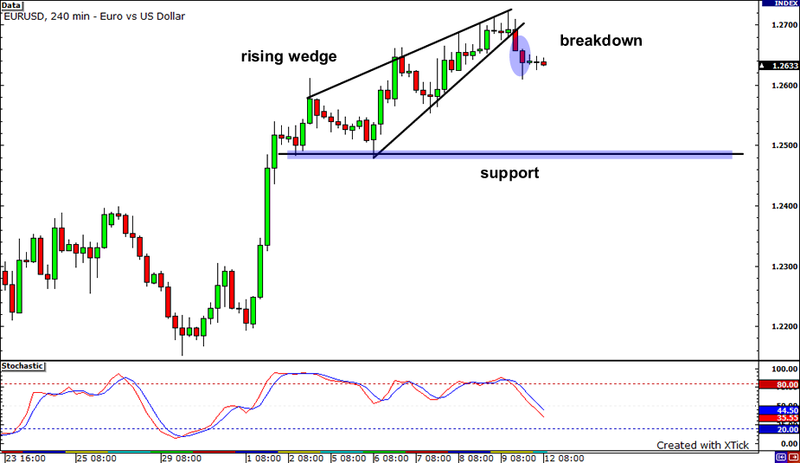 Is EURUSD’s uptrend over? Based on that breakdown from the rising wedge pattern, it could be! After all, a rising wedge formed during an uptrend usually serves as a reversal signal, suggesting that the pair could head much lower after the breakdown. The stochastics, which are still pointing downwards, seem to signal that downward price action could continue. If it does, the pair could find support just below the psychological 1.2500 level. 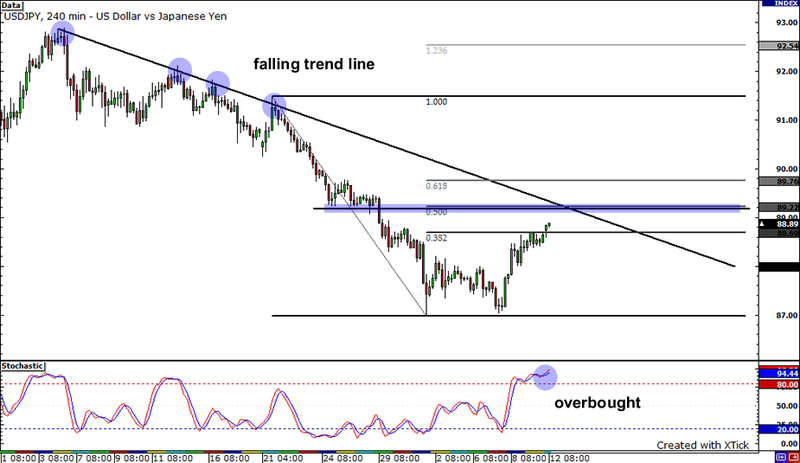 Check out that falling trend line on USDJPY’s 4-hour chart! Pretty neat, right? After the pair found a floor at the 87.00 handle, it bounced up and seemed ready to pull back. It could retrace until the 50% Fibonacci level, which lines up with a former support area around 89.25. With stochastics in the overbought area, downward price action could be in the cards. If the trend line still acts as resistance for the pair, it could push it back down to support at 87.00.